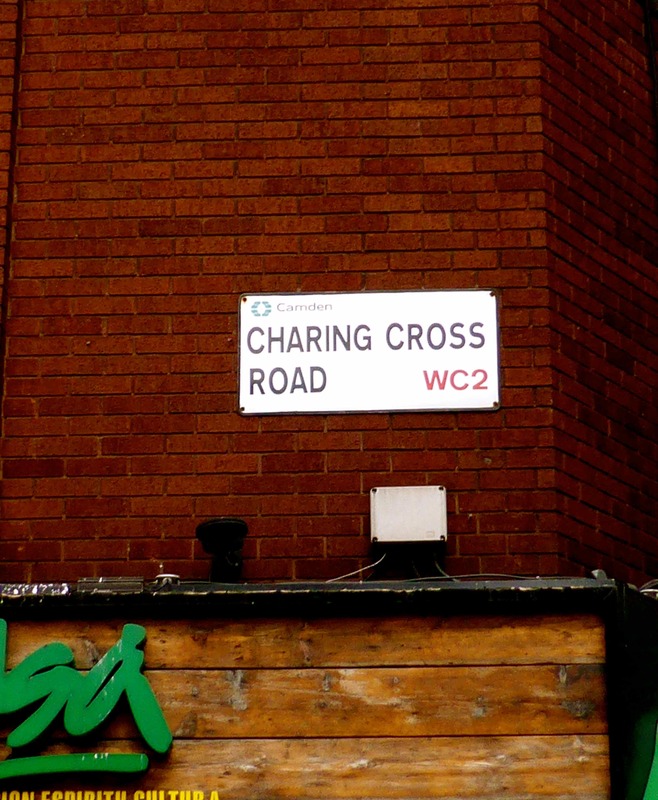 I work very close to Charing Cross Road. 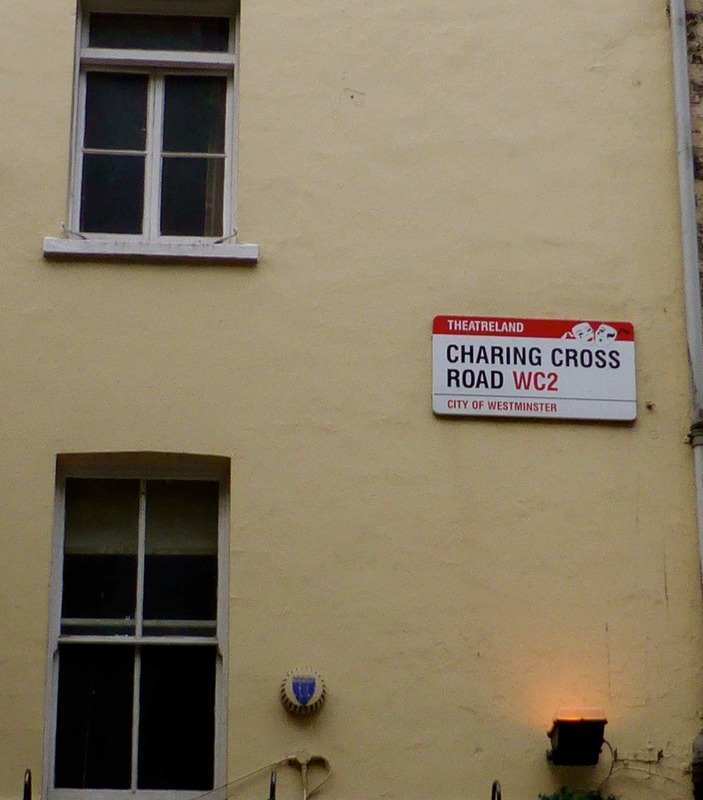 Many of you will know this is a road famous for its bookshops; very large shops, cut price, antiquarian and specialist. All manner of book shops. My work is all computerised meaning I spend most of the day sitting at my laptop and lately I have been incredibly busy with few chances to get out at lunchtime. Yesterday however I really needed a break from my digital world and so I headed to the sanctuary of a very large bookshop. and Camden. 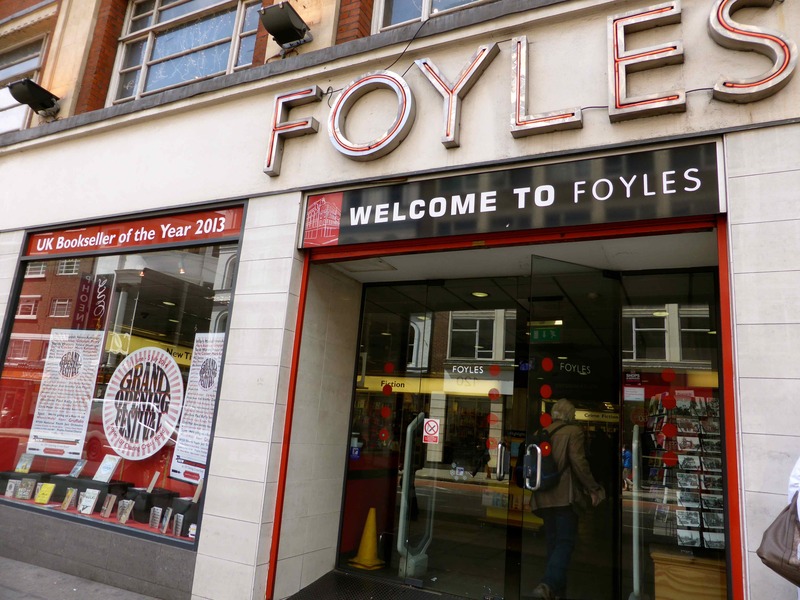 The book shop I tend to retreat to is Foyles which has been in business for over 100 years and is still owned by the Foyles family. 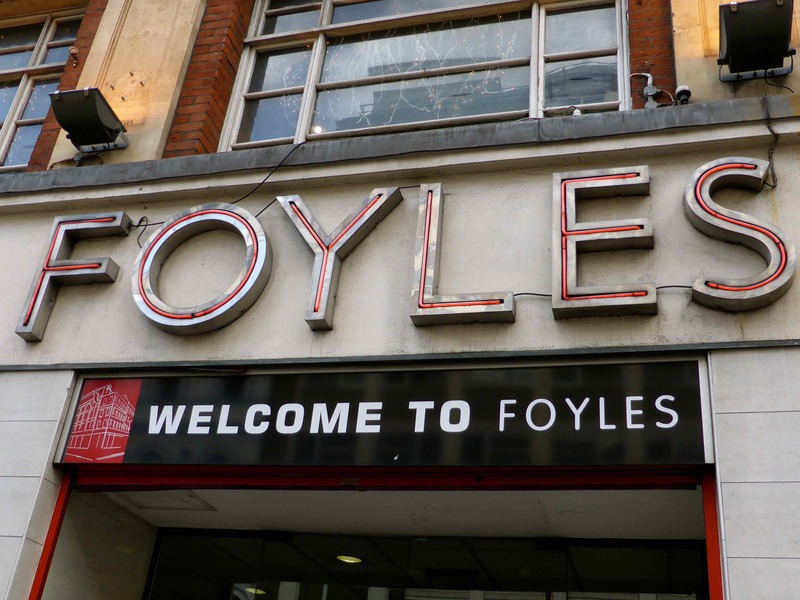 I did have some books to buy which I enjoyed looking for but I was really heading to the room above the Foyles sign. The cafe. To be honest it is quite a dingy cafe. A bit on the dark and unloved side. The food isn’t amazing either. It is perfectly adequate but not somewhere to travel to for the express purpose of eating in. I like it because it is peaceful. 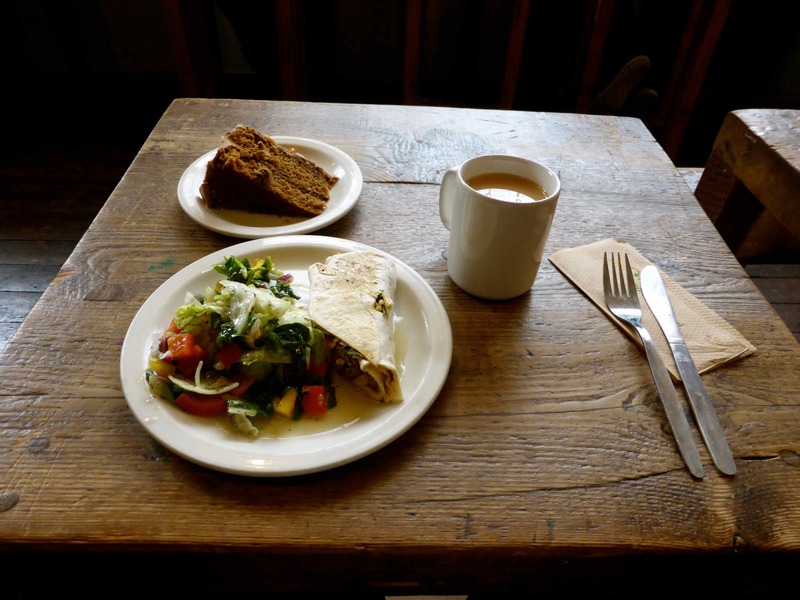 Having relaxed by wandering among book shelves bulging with books about most topics you could think of, I arrived in the cafe, selected my lunch and sat in relative peace and quiet. Most people seem to come here alone and sit reading their books or using laptops, phones, iPads etc. 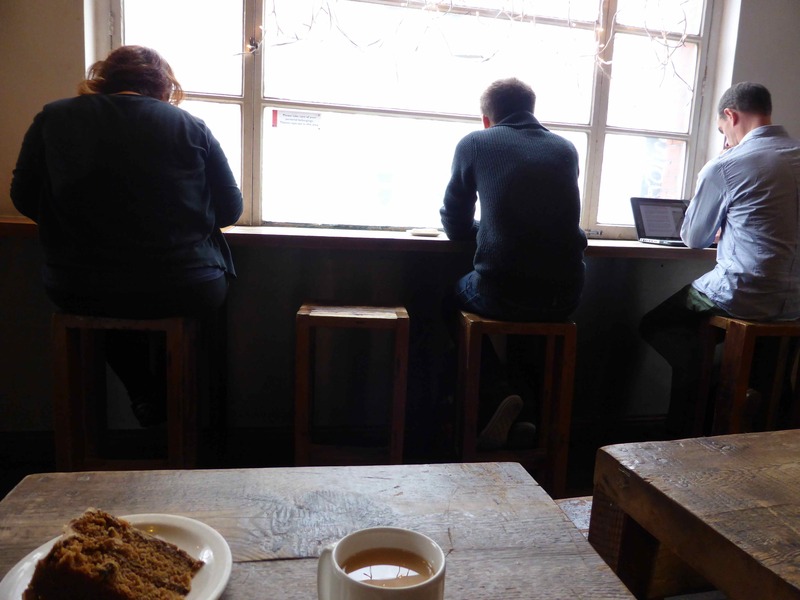 So it is quite peaceful, certainly compared to other local coffee shops and cafes brimming with people in groups, chatting. When I seek sanctuary from my large open plan digital work space, I want to sit companionably but silently. So the cafe of a bookshop is perfect. 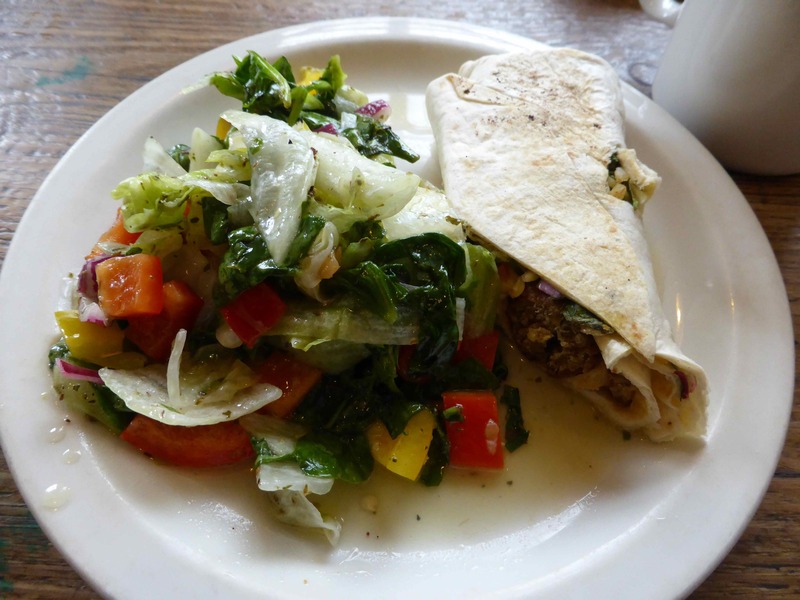 I enjoyed a salad with falafel in a wrap while I flicked through some books I had bought Harvey and caught up on email. 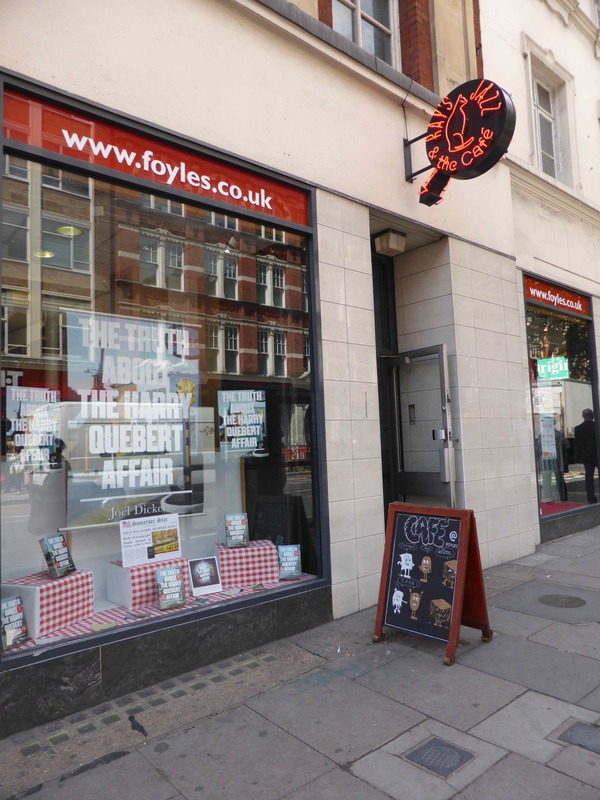 I became alarmed when paying for my books as I saw signs that Foyles is moving in the next few weeks. What ?!!! Moving my little sanctuary ? 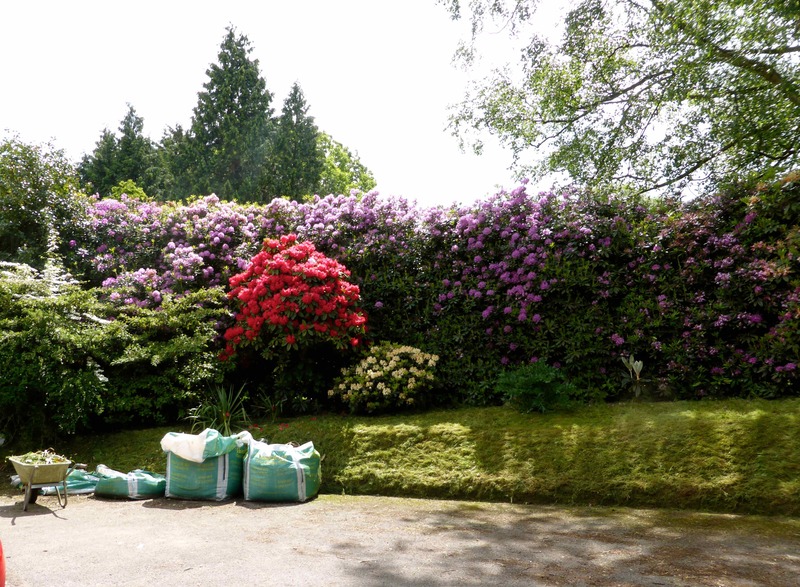 Luckily they are only moving next door – phew. Just in to here, where you can already see brand new book cases. I do hope they have a cafe. 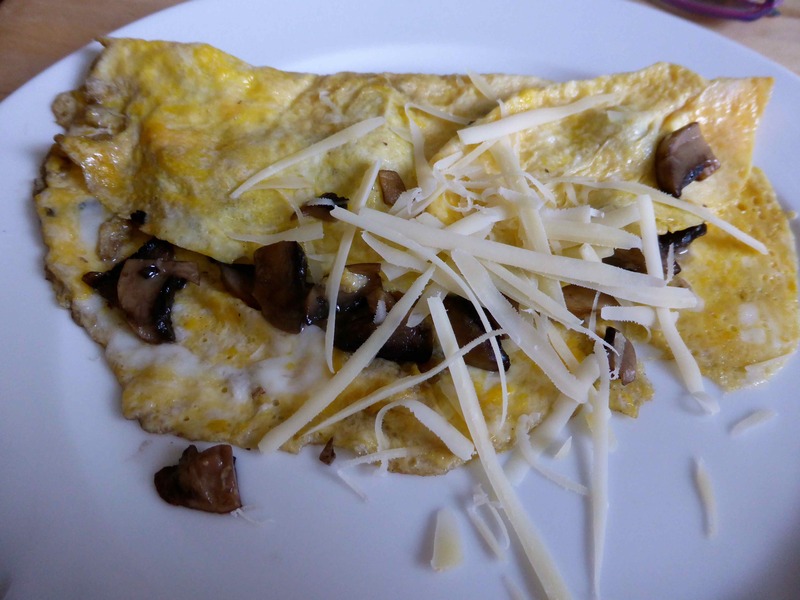 I worked from home today and began the day with a mushroom and Gruyere omelette. 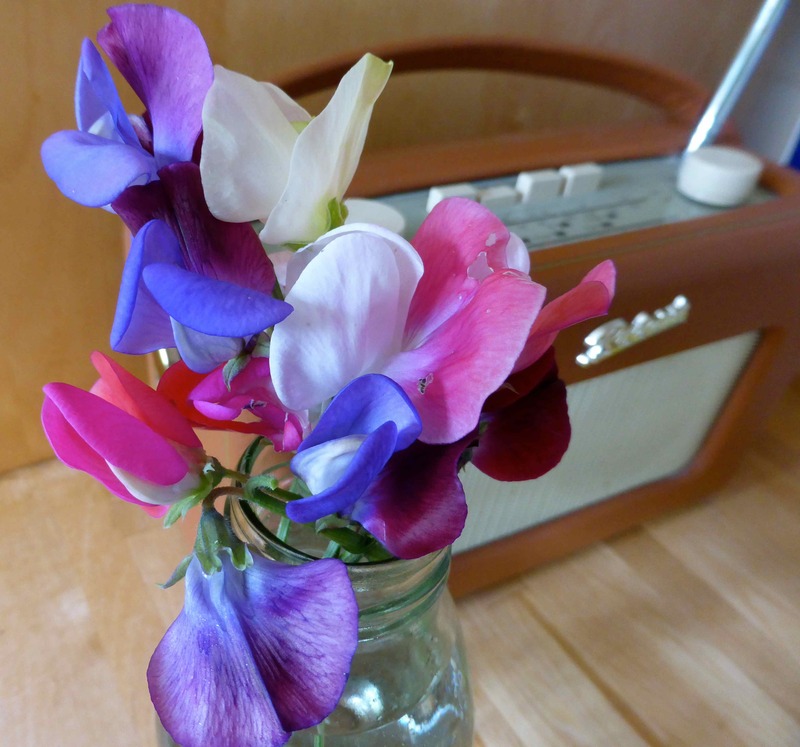 I picked my first little vase of sweet peas of the year. Hopefully the first of many. 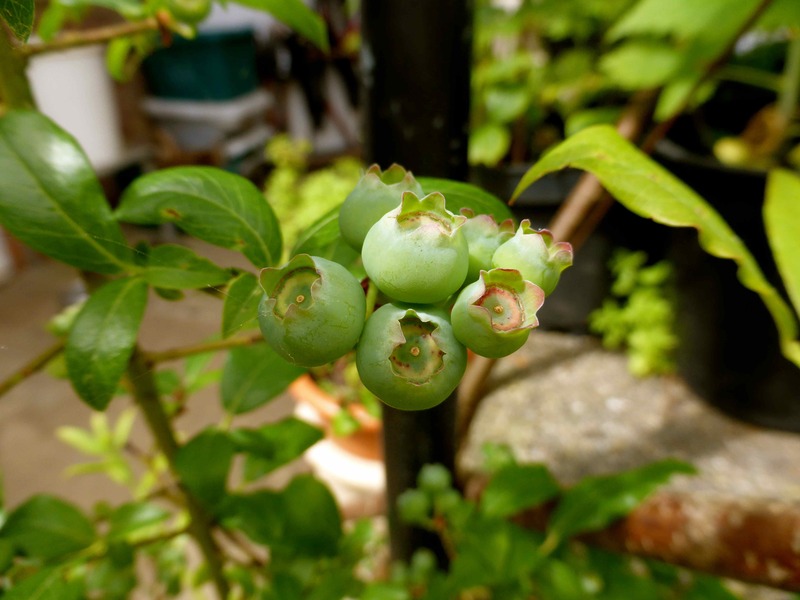 The blueberries are still there, plumping up but still green. 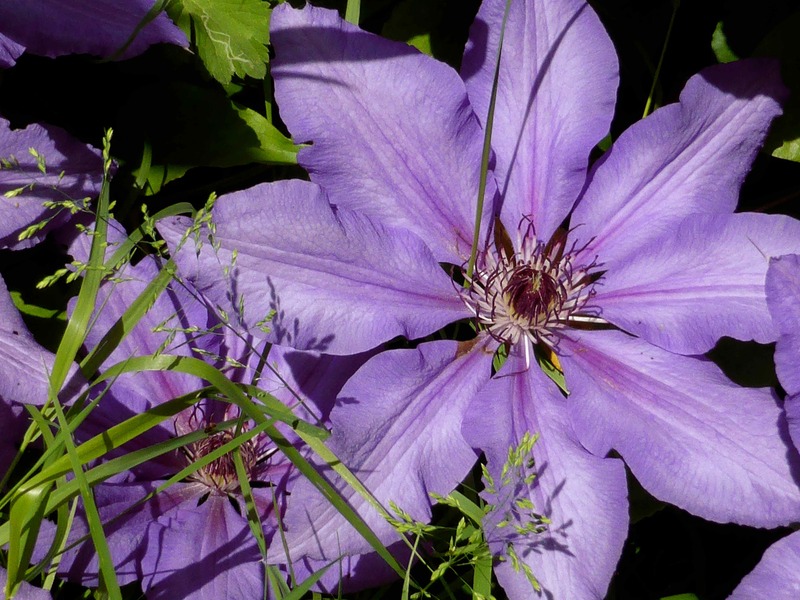 The clematis are in full bloom. 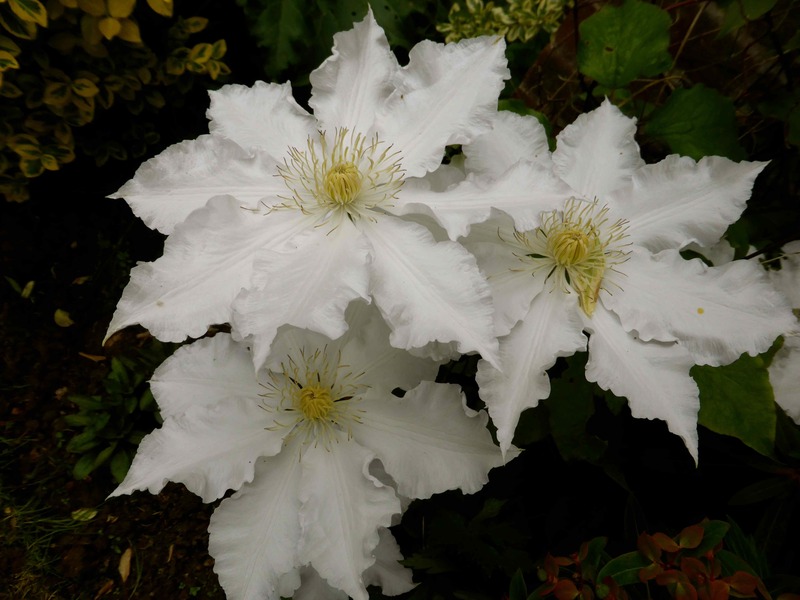 This white one is massive and so perfect. 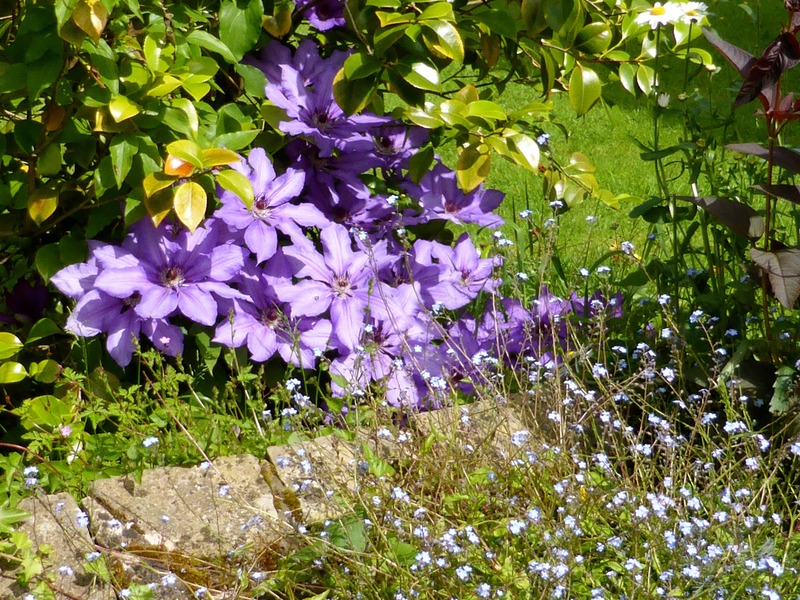 This purple one is truly splendid and has been flowering for 2 weeks and is still going strong. Look how beautiful it is. This one has a little visitor. Bzzzzzzzzzzz. 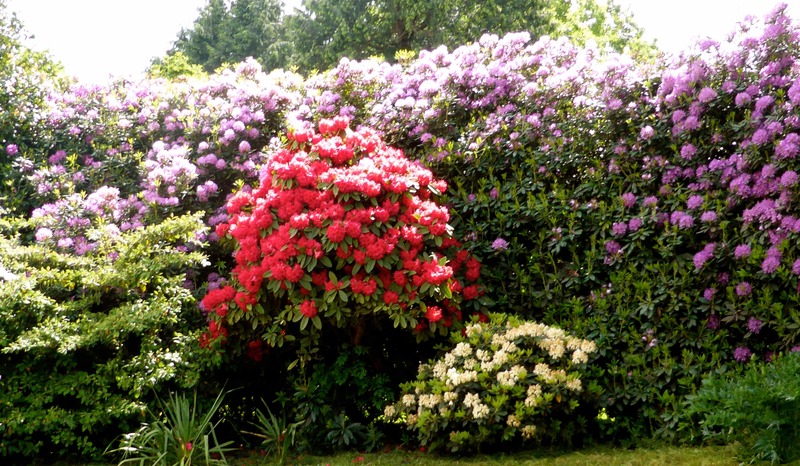 The Rhodendenrons are better than I ever remember them. 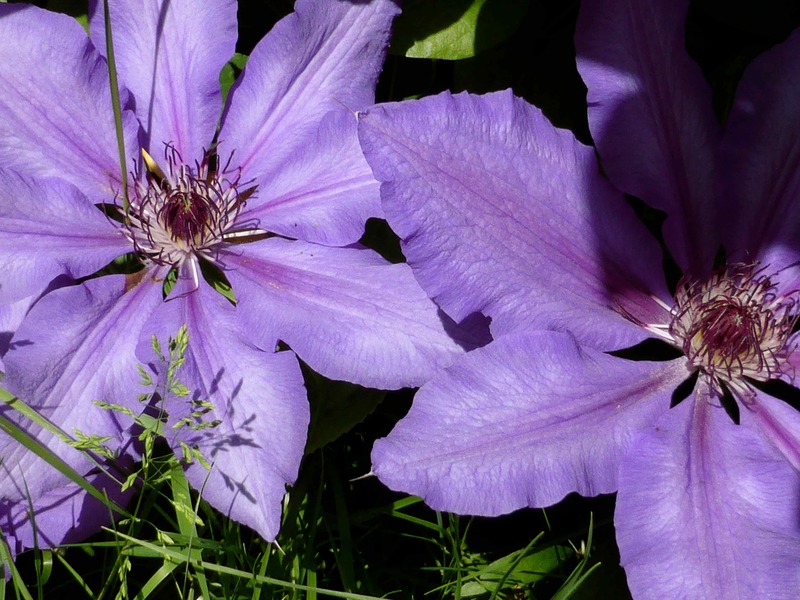 I don’t know what this one is called but it is one of my favourites and flowers for ages in its grand pot beside the back door. 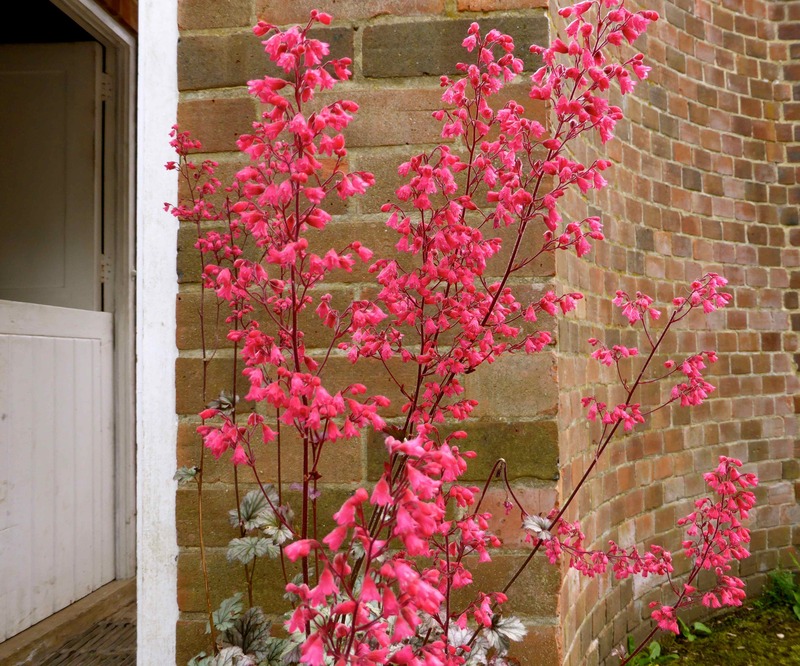 The pretty pink flowers on their tall dainty stalks towering above their variegated leaves bob about for weeks adding a welcome splash of colour against the brick wall. I have had a very hectic few weeks and am looking forward to some time off. 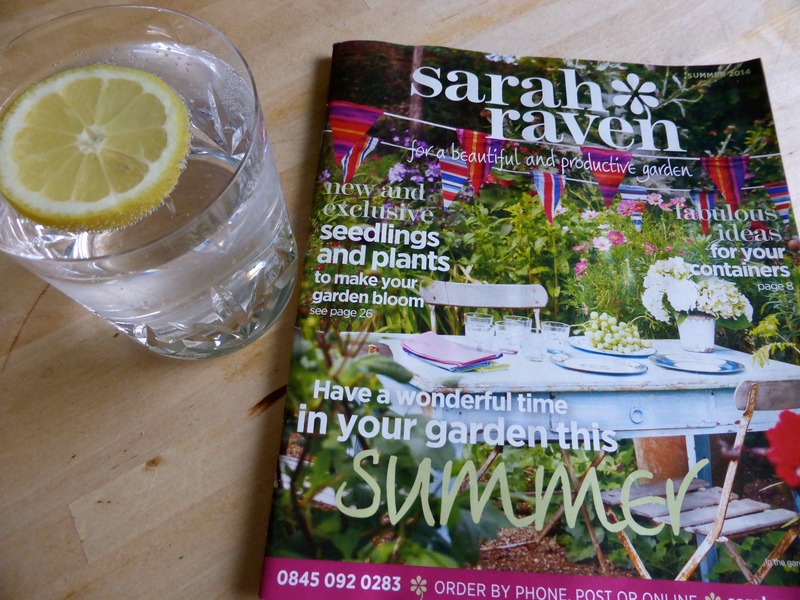 A large G&T and a Sarah Raven Catalogue seem like a good way to start relaxing to me. 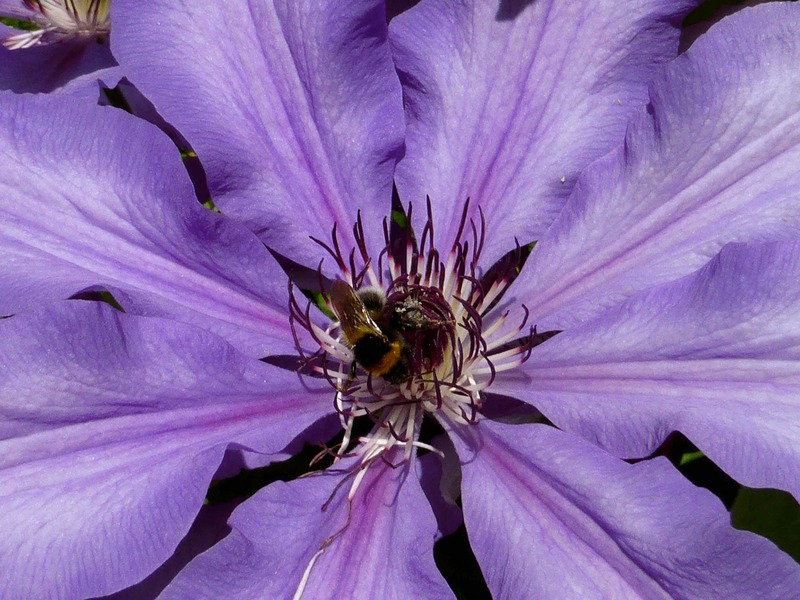 This entry was posted in Uncategorized and tagged Cafe, Coffee Shop, Flowers. Bookmark the permalink. I believe your plant is called Heuchera Coral Bells and it is lovely. 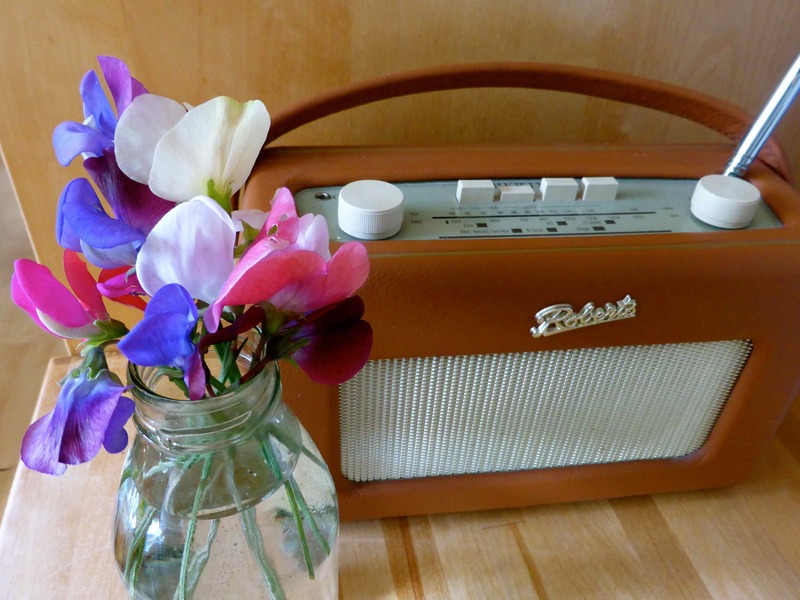 What a welcome splash of colour for sure. I finally was able to do some planting after a very long Spring Clean Up from the Ice Storm just before Christmas. Cheers and enjoy your weekend. 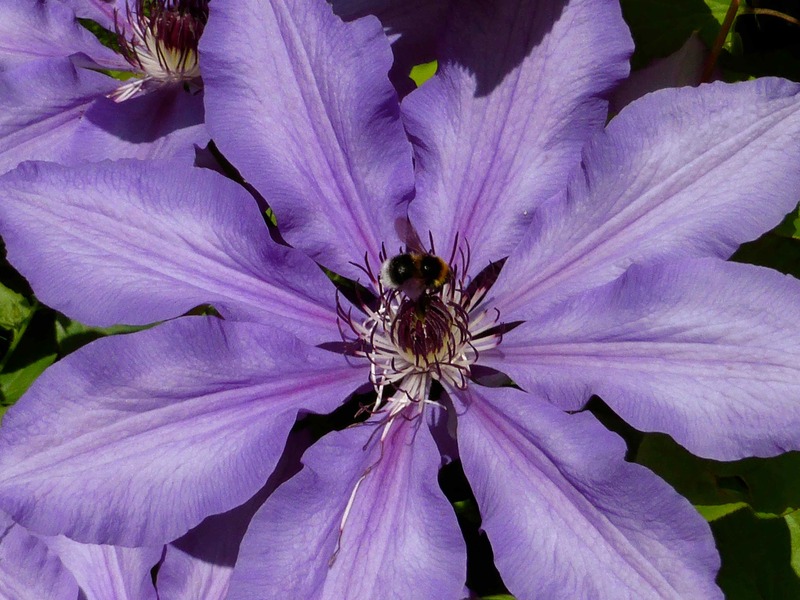 Thank you Laura, you win the prize for providing the most detailed naming of the flower. Very nice, loving that Heuchera. 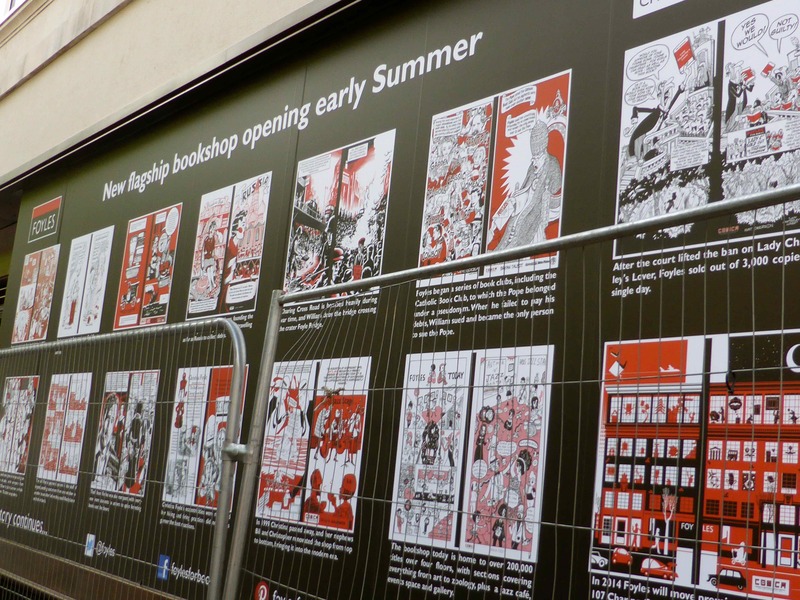 The new Foyles should be great as the old one has good stock but is not very conducive. 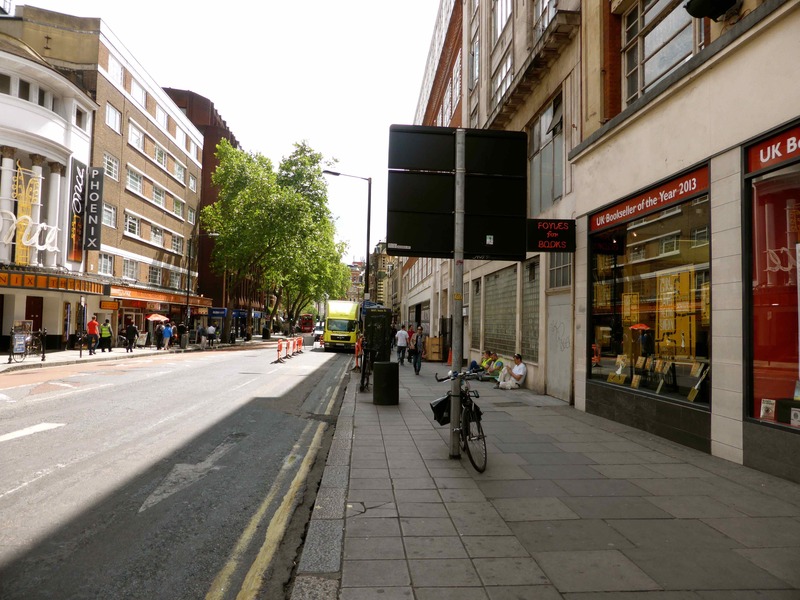 I much prefer the Waterstones on Piccadilly in the old Simpsons building. They serve a good cocktail too! 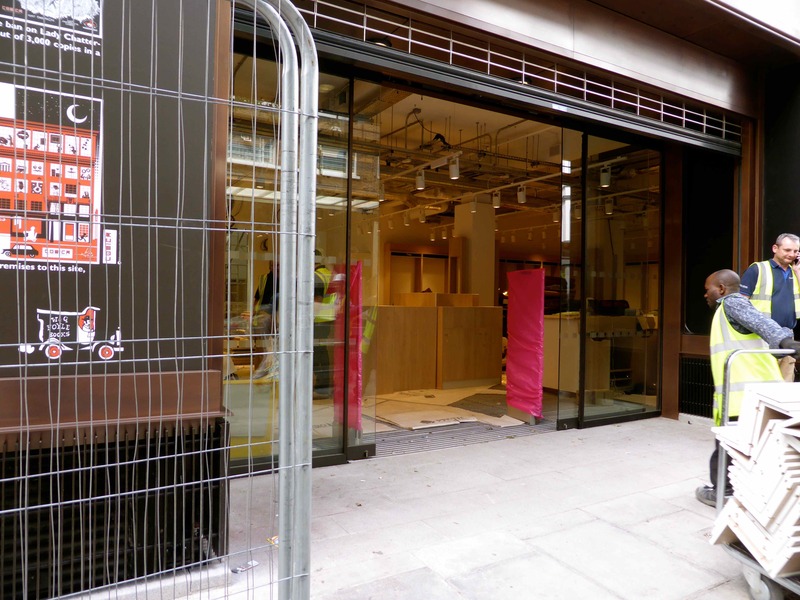 I will try the Waterstones but part of the attraction of the Foyles cafe was its peace and quiet.